It is summertime and the grilling season is in full swing. 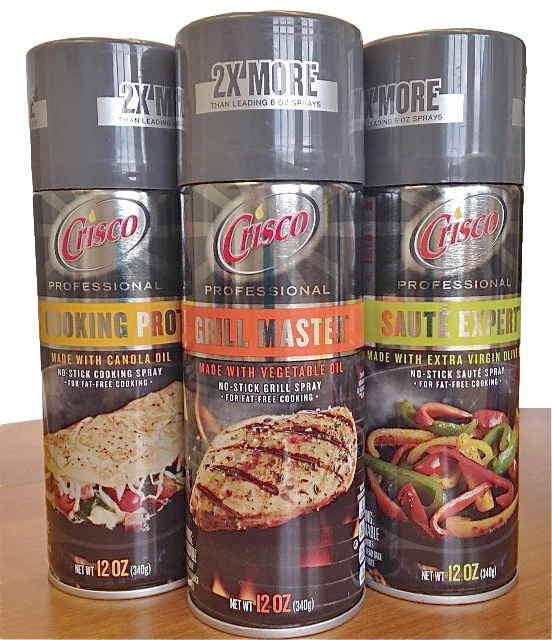 While shopping for the necessary grilling accouterment for an upcoming family gathering, I was surprised to come across a new product on the shelf at my local store: Crisco Professional cooking sprays. While this is not a new product or concept in packaging, the word “professional” associated with the graphic design immediately sets this product apart from the others on the shelf and positions it as something unique. It was enough to get me to pick it up and look closer. Why is “professional” important? In basic terms, consumer grade goods are created to appeal to a broad base of users at a lower price and typically are designed to be less durable. Professional grade goods tend to be higher quality with specific or defined use and in most cases are much more durable or refined. In the case of professional cooking sprays, think of the difference between a home cook and an experienced chef or grill master. By categorizing this product as professional, there is an immediate implication of higher quality content or performance that is associated with fine or restaurant cooking. The can is a full 24 oz. restaurant size compared to the much smaller 6-8 oz. can of traditional spray oil, giving the product professional heft – it clearly implies, I am here for serious cooking. To further support the professional connotation, the graphic design has been stepped up to upgrade the appearance from product to tool by playing off the stainless steel look synonymous with professional kitchens. The iconic Crisco logo with red copy reversing out of a white background has been modified with Crisco now printed directly on the “steel” container. Intended or not, the golden drop that has historically topped the “I” in Crisco now takes on the look and feel of flame. With a very subtle but purposeful shift in colors, the logo integrity has been modernized and professionalized without losing any of its brand equity. With the balance of the three cans based on a deep gray background reminiscent of professional quality kitchens and cookware, the three flavor and formula variations are distinguished by color and product visuals. Each respective food or product visual is represented on a surface likely to be used for either cooking or grilling. The overall design is subtle but audacious enough to elevate the consumer perception of cooking spray and allow home cooks to prepare food at a professional level. If I had any criticism with the package design, it would be the copy within the color band on the face panel. The product was placed on an upper shelf so that the fluorescent lighting in the store reflected so strongly off the shine of the can that it made it very hard to read the copy – I would consider white to provide the best shelf impact. Nevertheless, the can alone was enough to get me to check it out. To me, the design is a pretty solid win and an excellent way to take a “more of the same” product and step it up and to the front of its category.